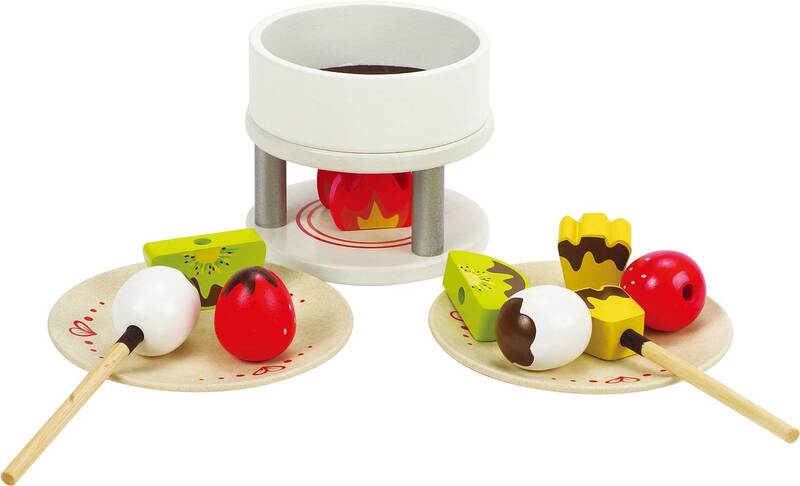 Chocolate Fondue may just be one of the most unfair foods for little ones: a pot of warm chocolate with fruit to dip in is a recipe for a messy disaster if you add in unsupervised youngsters. 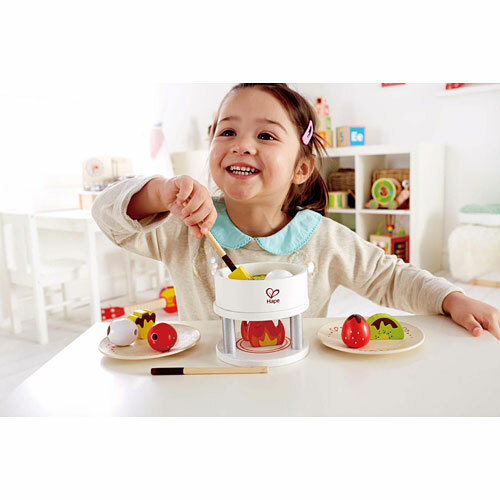 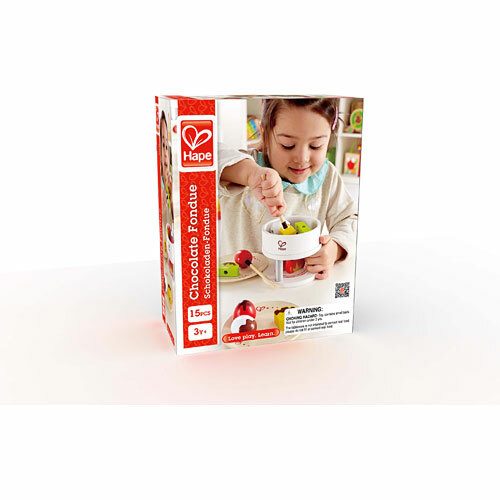 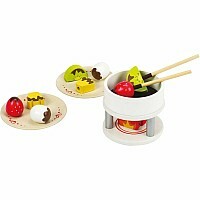 On the other hand, Hape's Chocolate Fondue play set is a recipe for hours of role-playing fun with no mess! 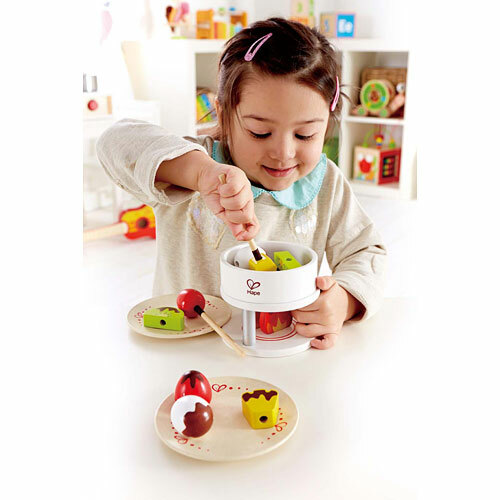 Hape's Chocolate Fondue is just like the fondue mom and dad spend hours setting up and putting away, but kid-friendly with a safe felt flame, flocked fondue sticks, a pot of chocolate and a variety of scrumptious-looking fruit. 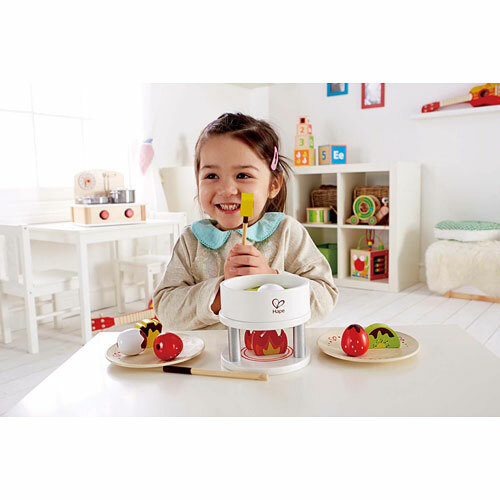 Best of all, the entire set is crafted to Hape's hallmark high standards, with solid Maple, Baltic Birch plywood, and felt all skillfully painted with child-safe finishings. 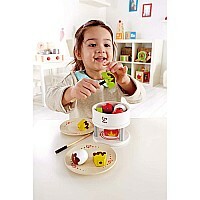 For ages three years and up. - Now little youngsters can have a fondue party, too! - Hape's Chocolate Fondue set consists of fifteen pieces, including: fondue pot, fondue sticks, two plates, and a variety of fruit for dipping.